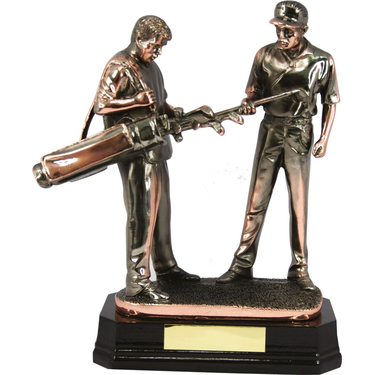 Lovely trophy depicting a golfer and his caddy carefully choosing his club to take that winning shot. It is finished in bronze. The trophy stands on a solid base which is perfect for adding a personalised engraving plate.